Ever wanted to start your own cosmetics company? But you’re not quite convinced you can really make money? I guess the skepticism is understandable – the cosmetics industry is shrouded in secrecy and previously ridiculously difficult to join. You can get in now – click here to discover how to start your own cosmetics manufacturing business. 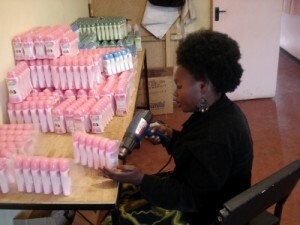 Is it really possible to start your own business making cosmetics and detergents? Without previous experience in the industry? On a small budget, without investing lots of capital? Can you really compete with the multinational cosmetic manufacturing giants? Can you really make it big? Can you really build a million-dollar business in a very short time? Well, I hope the following story will inspire you to know that you can start your own high profit cosmetics business – and it may even be worth millions within just a few years. What if I told you that three young entrepreneurs in Kenya have done exactly that – with no previous experience in the cosmetics industry or in making cosmetics, and limited funds. As most of us are aware, Kenya is a country facing many social, political and economic challenges. It’s probably not the easiest place in the world to do business or make a buck. But in three short years, a team of three aspiring entrepreneurs, determined not to become another jobless statistic, has proven that with determination and innovation, anything is possible. Their company has been valued at an astounding $830,000 USD (that was in June 2010 – I’m guessing it’s probably worth a whole lot more now). Before elaborating on their story, I should point out that these young business entrepreneurs are not AustraLab licensees. I’ve deliberately chosen them as an example so there is no bias involved. As you will see from their story, these guys did it the hard way. I’ll allow myself to show some bias here and say that AustraLab licensees have all the information, formulations and manufacturing procedures at their fingertips – it can be a heck of a lot easier to start your own cosmetics business than it was for these guys. Back in 2007, three young Kenyan students got together and decided to start their own cosmetics company – Melrose Bounty Bown (MBB). They started with a modest investment of $1900 USD. MBB looked at various business ideas, and decided that a cosmetics manufacturing company was the way to go. Then they looked at the market in Kenya. They saw that most women buy two products – a lotion and glycerine – and mix the two together. Innovation came into play, and the trio decided to manufacture a beauty lotion already containing glycerine, with the addition of natural extracts. It is marketed under the label Back2Nature. They produce about 600 bottles a day with three variations on the formulation – avocado, aloe vera or sunflower oil – in 130 ml and 220 ml bottles. This burgeoning cosmetics business focusses its sales efforts on small and medium high traffic retail outlets – including cosmetics retailers and distributors, wholesalers, supermarkets, etc. With production and sales strong, MBB’s competitors offered to buy out this small but highly successful cosmetics company for $384,000 UDS. In just about any country in the world, that’s a lot of money – and especially so in Kenya. But MBB was not about to sell – they knew their business was worth much more, with the potential to grow exponentially. Instead of selling their enterprise, MBB sold a 10% share in their business to Morex Media, a sales and marketing company, for $83,000 USD. MBB manufactures just one product with three variations – the mind boggles at the potential for expansion. 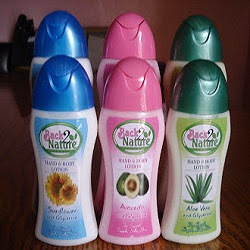 If, at this level, MBB has a million dollar business, what do you suppose would happen if they added a range of ethnic hair care products – shampoos, conditioners, hair treatments, leave-in moisturizers, relaxers, etc. How about specialist skin care products – anti-aging, acne, oil control products, dry skin treatments. What about mineral makeup and color cosmetics especially for ethnic skin tones? Then there’s cleaning products and detergents … a multi million dollar business in its own right. These three young Kenyans have built a million dollar cosmetics company in just a few years – without any previous experience in the cosmetics industry, without any degree or training in cosmetic chemistry or chemical engineering, without huge capital, and manufacturing only THREE products. For those of you having doubts – if it can be done in Kenya, it can be done anywhere in the world! What’s stopping you from starting your own cosmetics empire and claiming your share of this massive industry? To start your own cosmetics company click here. And please take a look at this article about the criteria for starting a million dollar business. This is such a great story. I will admit that I have been holding back on my dream of owning my own cosmetics and makeup manufacturing because I wasnt really sure if I could make enough money. Ive been reading all the articles on your website and I know there must be a LOT of money in this industry, but until I read this story here I wasn’t sure if I would be able to pull it of myself. Now I know I can!!! Im so excited to get started. Ive sent you an email and hope to hear from you soon. You’re right – this is a great story. It’s actually one of the reasons I started the AustraLab program – I really love to see others succeed in this industry. (And I love to see the “little guys” take on the multinationals and blitz them!) This story really does prove that it can be done. I’ve just sent a reply to your email and look forward to helping you get started with your own cosmetics business – I think you have a winning idea. That’s another WOW from me. I don’t wear cosmetics but I sure do want to start making them. This sounds like a fantastic business and I think you are right that if they can do it, anyone can. You can count me in. As you’ve seen, making cosmetics is not just for the gals. Wearing them is not just for the gals, either – the men’s skin care industry is a booming market – but that’s the subject for an upcoming article. Hello Sam, I have been lurking around your blog here for quite a while, I must say I love all your articles, but this is the very best. So inspiring. After reading this I really don’t know what’s been stopping me! Sometimes reading something like this can give you the push you need to get going. I’m ready to do it! Thanks Linda, it’s great to have you here. I hope I’ve given you the motivation you need to start your own million dollar cosmetics business. Very inspired and very interested. How do I join your program? I love ur article!Am from nigeria can u please guide me hw to join ur programme and hw to get ur manual from nigeria,including d cost and to send d money from nigeria. This is a really motivating example of how just about anyone can start their own successful and profitable business in the cosmetics industry. I’m glad you liked it. I have been wanting to start my own line of cosmetics for a very long time and I just don’t know where to start. The whole thing confuses me a lot. I am unsure about how I will make the product or get the products made and the formulations they confuse me as well because I want a unique edgy line. Anyways if you have any tips please feel free to email me. I often hear questions like yours, and this is one of the main reasons I decided to produce the AustraLab program. In the AustraLab manuals, I include a successful marketing strategy which can help you start selling your products in large volumes. This will give you an introduction to the market, and help you raise capital to start producing more “niche” or “edgy” products. Niche products can sell very well, but conduct your own market research to find what is popular in your region. Am so glad I can came across your website the very day I decided that I wanted to start my own cosmetics company. Am even more inspired by the Kenyan story. Thanks for sharing this information. Thanks for stopping by. I’m glad I’ve given you some inspiration – wish you great success with your venture.